Colorado law defines burglary as entering or remaining unlawfully in a structure with the intent to commit a theft or felony therein. The classification (i.e. burglary in the first degree) depends on the type of structure entered. Some of the consequences for burglary involve probation, significant prison sentences, fines and restitution. Given the severity of the charge, it is a good idea to have a Colorado burglary defense attorney on your side fighting for you. At Marinoff & Associates, P.C., Attorneys at Law, we fight for our clients. If you are looking for an attorney who provides an aggressive approach to handling your Colorado burglary defense, you have come to the right spot. As a former prosecutor, my law firm handles serious criminal matters for individuals throughout Colorado. If you have been charged with a burglary in Denver or Boulder, as your attorney, the first thing I do is listen to your side of the story and your goals. Then, I look at your story in light of the law and I explain the charge and what the law says about the charge to my clients. I am always straightforward and honest with my clients. I give them realistic outcomes and scenarios because my clients want to get a clear picture of their situation. Once I explain your options, we decide what to do. I will work hard to create a strong legal defense for your case and do everything I can to get your charges dismissed or to negotiate a favorable plea. 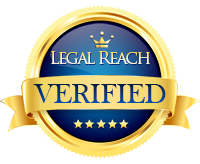 I am an experienced negotiator and an exceptional trial lawyer. Let me put my experience to use for you. You need an experienced lawyer to aggressively fight the burglary or trespass charges you are facing, I am here to help you. Contact my law office online or by calling 720-621-7635.